Bali is the world's best surfing destination for all abilities from total beginner to expert. 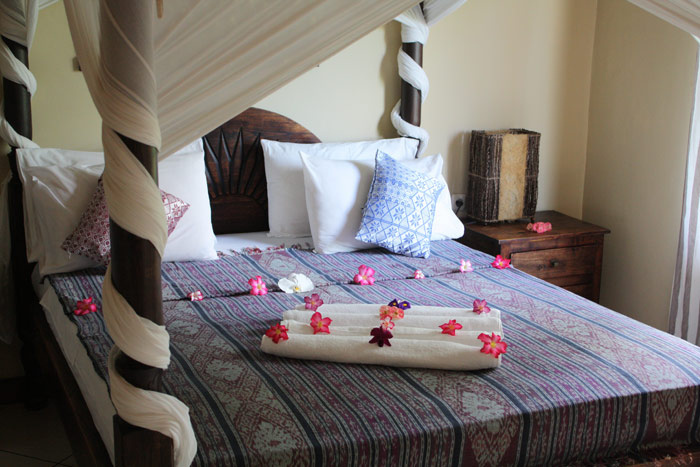 We are Bali's premier surf camp and yoga resort. We will take care of everything for you so you can spend the maximum time in the water surfing Bali's world famous, and some lesser known Bali surf breaks. 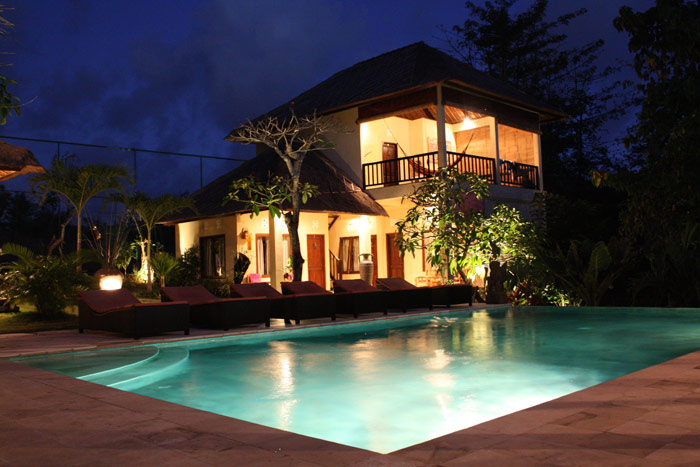 Located in a perfect spot on the Bukit Bali peninsular where it is always offshore somewhere! Every day we take surfing pictures and upload onto our daily surf report. For beginner and intermediate surfers we offer surf lessons at our surf school. which is integral to the surf camp. For advanced surfers, local Bali surf guides will take you to the best breaks and help you with positioning and wave selection. We specialise in beginner surf lessons and offer private surf lessons for all abilities from total beginner to advanced surfer's who want to improve their technique. Delicious fresh meals locally sourced, we cater for all diets. The best surf instructors on the continent. Luxury accommodation. 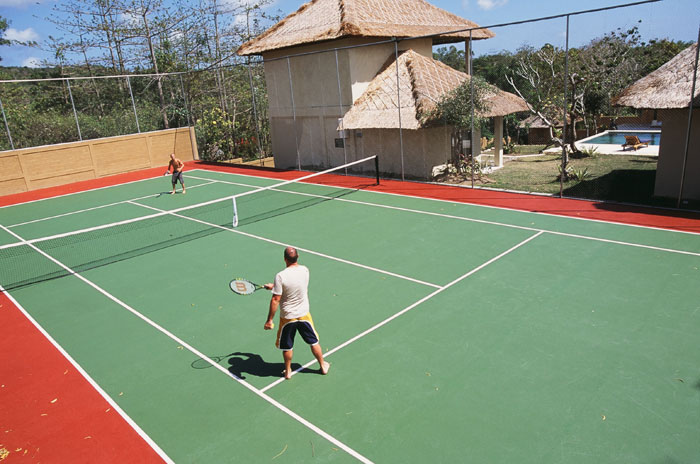 Tennis court, ping pong table, yoga studio, swimming pool, daily social activities, on site massages. Great selection of surfboards. We have everything you would want for a perfect surfing and yoga vacation. Visit us in Bali. Beautiful culture, excellent waves. If you want to surf in a warm, lush tropical environment, be our guests. 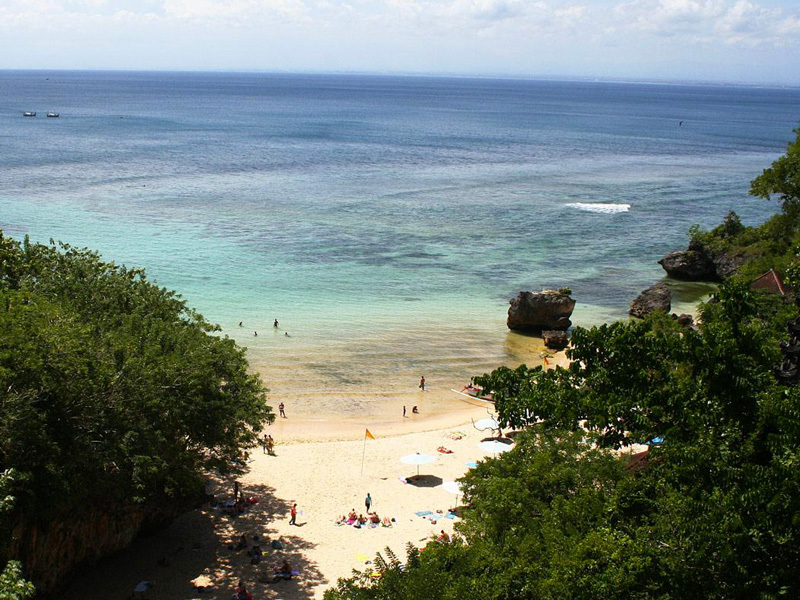 Enjoy the beauty that is Bali. Meet travellers like yourself from all over the world, enjoy the freshest locally prepared meals, and discover paradise at... Padang Padang Bali Surf Camp. 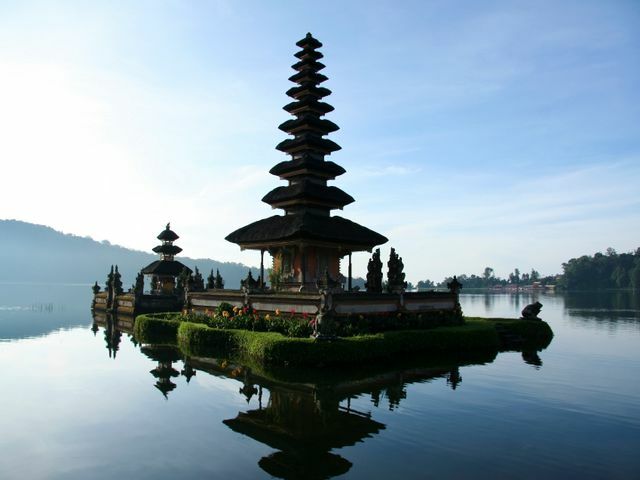 Bali is predominantly Hindu. 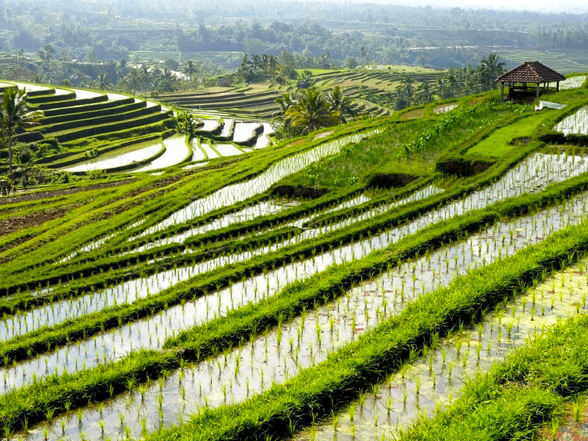 Balinese traditions and culture are breathtakingly beautiful and surround you. The Uluwatu temple dance is simply unmissable. Many other cultural and beautiful sites abound in this magical island which is knows as the Island of the Gods. I had amazing surf, the knowledge the surf instructors is phenomenal. In total I was taken to 8 different surf spots. Every day the surf spot would be carefully selected with consideration to conditions and your ability. I never felt out of depth or unsafe, the instructors were very helpful. They know exactly where to be in the sea and will call you over and advise you on what waves to catch etc. They are very professional and understand that customer comes first. The instructor to surfer ratio was the best I’ve seen in a surf camp. Really comfortable rooms, great vibe with amazing people and a good team atmosphere! Lovely pool and plenty of hammocks and sunloungers around the amazing green grounds for relaxing after surf sessions.The breakfast(s) were amazing, great selection of options and can have as much as you like with fresh juice that beat anything I had elsewhere in Bali. Really great lunches too with some of the best indonesian food I've had.Very pleased with my choice of surf camp in Bali- there is really only one option: Padang-Padang surf camp was amazing! This surf camp is absolutely fantastic. The rooms are perfect, clean, great layout, big pool, in a calm and relaxed area. Right next to the all the stores and restaurants, you never need to walk more than 5-10 mins, and that's even to the beach (Padang Padang beach)! Food is always spectacular, never-ending, healthy and organic. Instructors are just great, perfect for beginners and the experts. 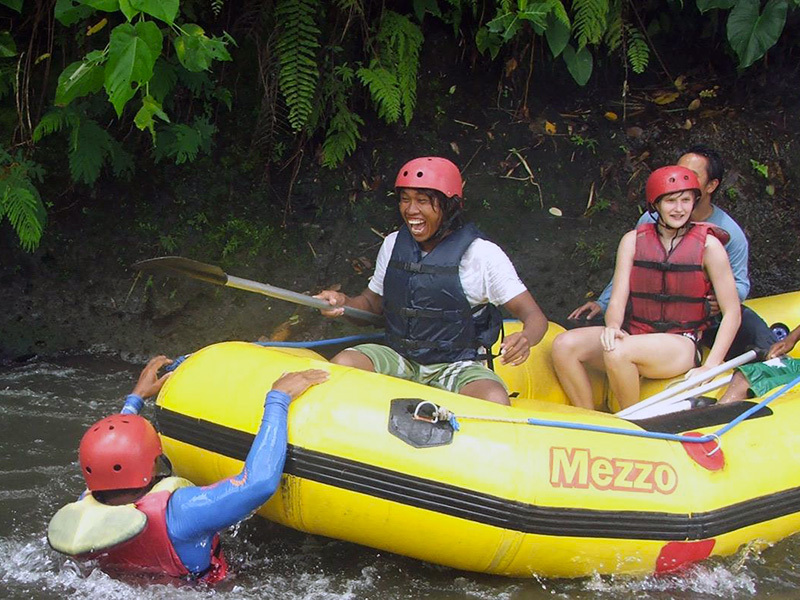 The organise it with different instructors, areas, times, and groups, to make sure your level matches their expertise.Perfect for solo travellers, and of course of partners and groups. View more testimonials from our previous happy visitors and find out why we are awarded a Trip Advisor Certificate of Excellence every year.